Harvard Professor of Atmospheric Chemistry, James G. Anderson, and his team of researchers have studied the ozone layer and climate for more than 25 years. However, their most recent discovery reveals an unexpected, and disturbing, link between climate change and human health: Climate change contributes to ozone loss, increasing the risk of skin cancer across the globe. Anderson et al.’s paper, published in the journal Science on July 26, describes how thunderstorms can push water vapor much higher into the stratosphere than previously thought, that this water vapor causes stable chlorine and bromine compounds to breakdown into ozone-destroying free radicals. Further, the increased frequency and intensity of these storms due to climate change means that we will be exposed to more UV radiation. Skin cancer is the most common form of cancer in the US – there are 1 million new cases each year, and the rate is growing. More UV radiation as a result of climate change would push this number even higher. The relationship between ozone loss and chlorofluorocarbons (CFCs) and other chlorine and bromine containing compounds is well established. Sunlight causes these compounds to break down and release chlorine or bromine free radicals, which then catalyze the conversion of ozone (O3) into oxygen (O2). Less well known is that the presence of water vapor and higher temperatures also contribute to the breakdown of chlorine and bromine compounds, thus increasing the rate of ozone loss. 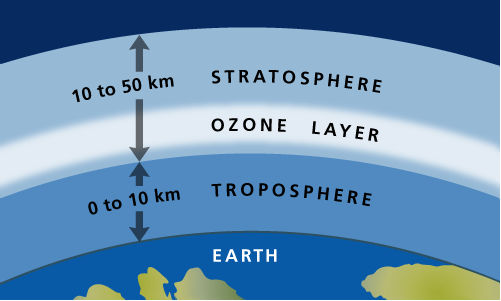 Higher temperatures and the greater availability of water vapor in the stratosphere means that ozone is destroyed faster. 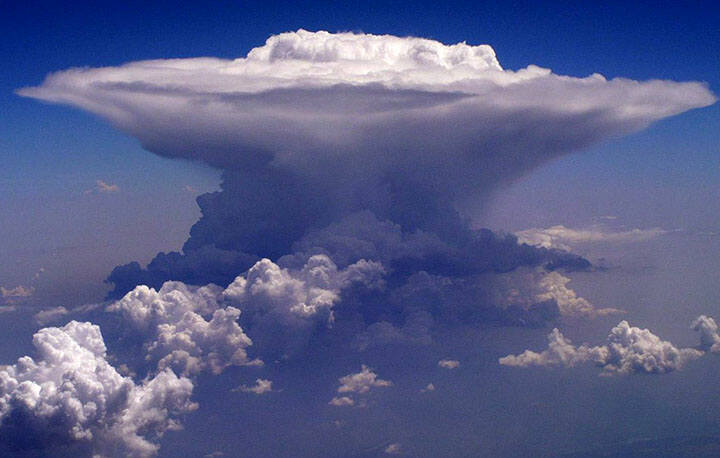 Storm clouds have the potential to increase water vapor concentrations at lower ozone-layer altitudes – a process Anderson refers to as “convective injection.” This is already in occurrence, as Anderson notes in this Harvard Gazette article, and such storms don’t need to be unusually large. It is further anticipated that climate change will increase both the frequency and intensity of such storms, resulting in more water vapor being pushed further into the ozone layer, and more often. The bottom line: Climate change has one more way to damage human health than previously thought (as though the list weren’t long enough already). So remember, wear sunscreen, do what you can to reduce global warming, and let others know if you found this post useful. Nobody likes cancer.